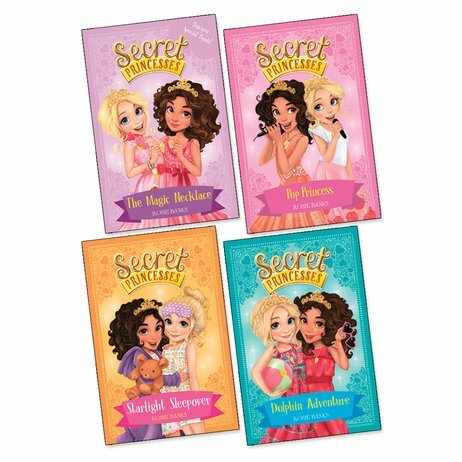 It’s by the author of Secret Kingdom and it’s all about royal best friends, with a twinking of magic and a dash of adventure. A dream come true, basically! Charlotte and Mia live far apart, but they’re as close as can be. Why? Thanks to their magical necklaces! They each have a special necklace that whisks them away to Wishing Star Palace, where they go on missions with the Secret Princesses. These magical princesses make wishes come true. Best of all, Charlotte and Mia are training to join them. There is an obstacle: mean Princess Poison. But she’s reckoned without the power of true best friends!